YEAHHH!!! Thanks, more binder sets, and YEAHHH!!! - The Resourceful Room! YEAHHH!!! Thanks, more binder sets, and YEAHHH!!! THEY OFFERED ME THE JOB!!!!! I can't tell you how excited I am!! It's 10 minutes from my house, elementary special education, EXACTLY what I was looking for!! Both the principal and assistant principal were wonderful and I can not wait to get into my classroom and get started!!! Thank you so much for all of your prayers, thoughts, and comments!!! I feel like I've done a lot of whining and I'm grateful someone is willing to read it and offer their support!! A couple of people have asked about the clipart, It's not my work!! I got the stick figures teachers from JW illustrations, some of the school graphics from KPM doodles, and the other kids/safari animals from Scrappin doodles, the ribbions, flowers, and other accents are from Just so Scrappy. For links to all of these and other sources I use clipart from please see the Graphics page!! Thanks again for following me Happy Thursday!! Congratulations on the job! That's exciting. I love it when things work out! Congrats Amy! I am sure you will do great on the job! And super thank you for the binder set! I was just sitting down to get my together! Perfect timing! CONGRATULATIONS!! And, thanks for sharing the binder sets...you are very generous! They look fantastic! Congratulations! I love the binder sets! Thanks for sharing them!! Congrats! Thanks so much for the binder sets. I would love to know where you got the zebra background. I didn't see a page with graphic links. Congratulations on your new job. I spent 6 years working in a Pre-K program and know how you feel. There are many long days and very few breaks. That's why I was so happy when I was offered a job in Kindergarten. Love your binders, now just to decide which one to use. "The Wonderful World of Kindergarten"
Hurrah! I think I heard you screaming for joy! We are all so happy for you!! I am proud of you for being courageous and doing the right thing. Hurrah! Yay! That's awesome that it worked out. I'm glad that you followed your gut with the preschool. Congrats! Thanks for the binder sets! I *love* the pink/zebra one! Congrats! I lost my job at a charter school in June and wasn't sure what I'd do. after a few interviews here and there, I was offered a first grade position in North Carolina! Now I'm moving from Ohio in 4 days and couldn't be happier (and nervous) Hope you have a wonderful year! I am SO happy for you. I don't even know you personally but I know you will be awesome in your new position. I wish you nothing but the best and I hope you have an AMAZING year! Congratulations! I am so happy for you. I don't blame you - I would not want to take 19 Pre - K to the beach. Good luck with the new job and thank you so much for sharing these binder sets! I LOVE the zebra print!! Congrats on your new job!! I worked at a daycare/preschool and I absolutely hated it, but I love teaching. And your binder sets - I'm printing mine today! Good Luck! Congrats! I'm so happy for you. I love reading about your journey. Thanks for sharing! I love, love, love the binder sets. Have you thought about making a substitute teacher binder cover? Congratulations on the job, Amy! What exciting news!! Wow, I feel so honored that you came to visit my little blog. you're amazing. i can not believe you made all of those. just wow. Thanks for stopping by. You will have to tell me how you get Google Docs on your page. I haven't figured that one out yet. WOOOHOOOOOOOOOOOO Congratulations on your job!! 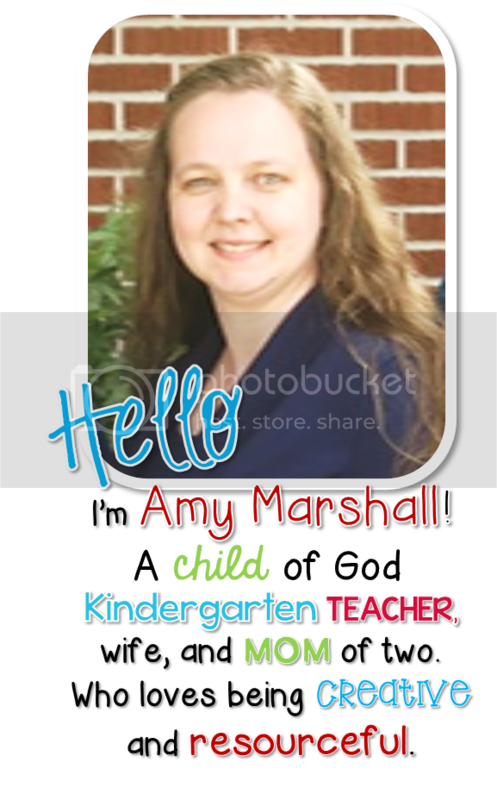 Congratulations, Amy! I am sooo happy for youuuuuu!!!!! You are going to do amazingly. I can't wait to see what your classroom looks like. Congratulations !!! I love your binder sets. I was wondering how do you attach the tabs? Can't wait to see more pictures of your room. I am trying to get more organized this year, and I am starting a teacher binder. These are a GREAT help for a newbie like me. I would love to print off the Jungle/Safari set, but I don't know how to print it. Thank you so much for this freebie resource...teachers like me couldn't make it without people like you!!!! Fab Finds from my Weekend Shopping Trip! Monday Made it more binder freebies! Giveaway Winner and more Binder sets! The Resource(ful) Room is One!! Binder Set in Yellow/Black, and some news! Binder/Calendar in Green and Blue! It's Monday I made it again!!!! The rest of my CAFE headers...Freebie! Strrrrrreeeeeeeetchhhhed out of my comfort zone! More Fab Finds, couldn't resist!